Buy to Let is Booming as we become a Nation of Tenants. Latest research indicates that the average age of a first time buyer, in the absence of help from parents, is now 37 years old. The main cause is the large deposit being insisted on by lenders, with the result that many people are now having to rent for much longer. This demand for rental accommodation is putting upward pressure on rents each month, with the result that last year, average rents increased by 4.2%. This is however, the average, which hides the fact that in some hotspots, the increase has been much higher, allowing many landlords to beat the returns offered by savings accounts. This increase in demand and returns is making the idea of buy to let a much more attractive proposition to high street lenders, which in turn is helping to increase borrowing for buy to let properties. This increase has not gone unnoticed by the mortgage advisers at ContractorFinancials who, according to one major lender, now submit more buy to let borrowing than any other broker in their region; so you can rest assured that their expertise in this niche area will allow them to secure you a competitive rate. 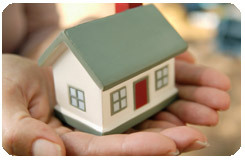 Lenders surge back into buy to let. Lenders generally insist that the rental yield needs to be 125% of the mortgage repayments based on a set rate by the lender. The Mortgage Works, for example, are currently using a mortgage rate of 4.99% to calculate their buy to let mortgages so you will need to take this into account when calculating the rental income that you will receive, not the 2.74% that you will actually pay. To find out more about what ContractorFinancials can do for you, call 0845 062 8888 or email freestyleaccounting@contractorfinancials.com and speak to one of the experienced advisers.